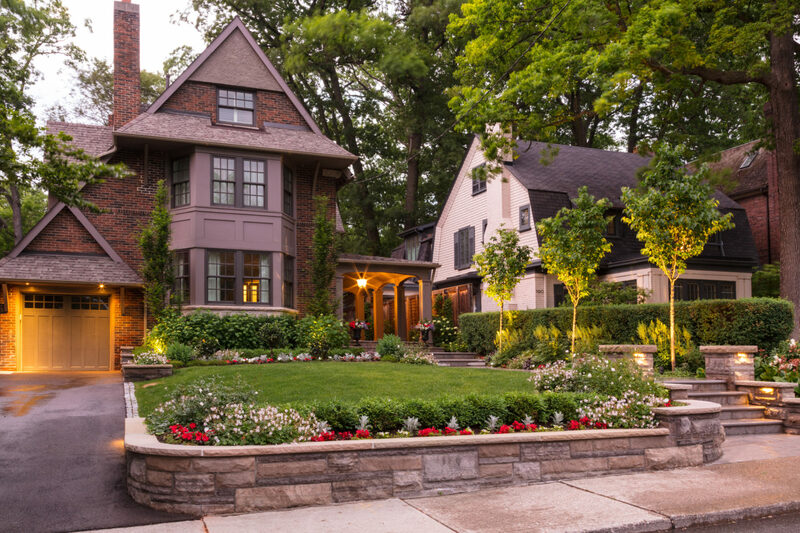 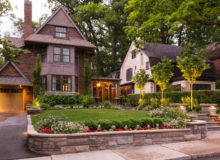 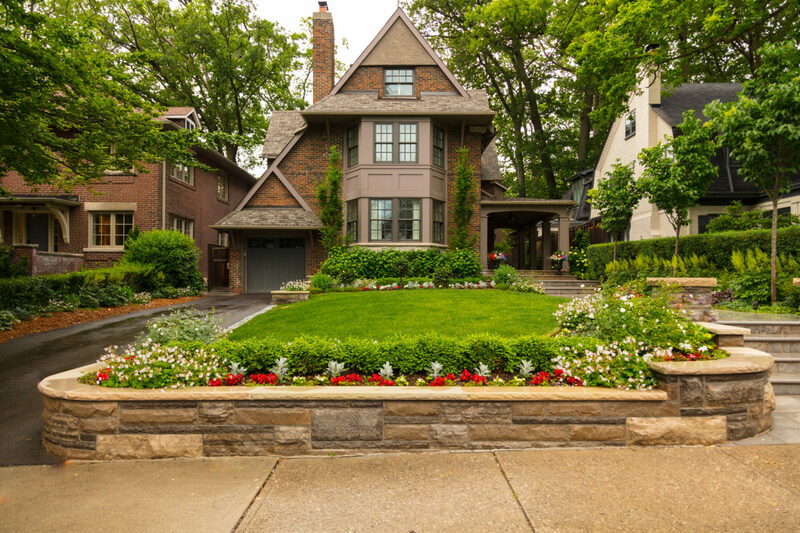 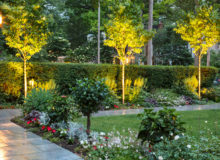 This is a great example of how a traditional and stately garden can compliment your home and still deliver a design punch. 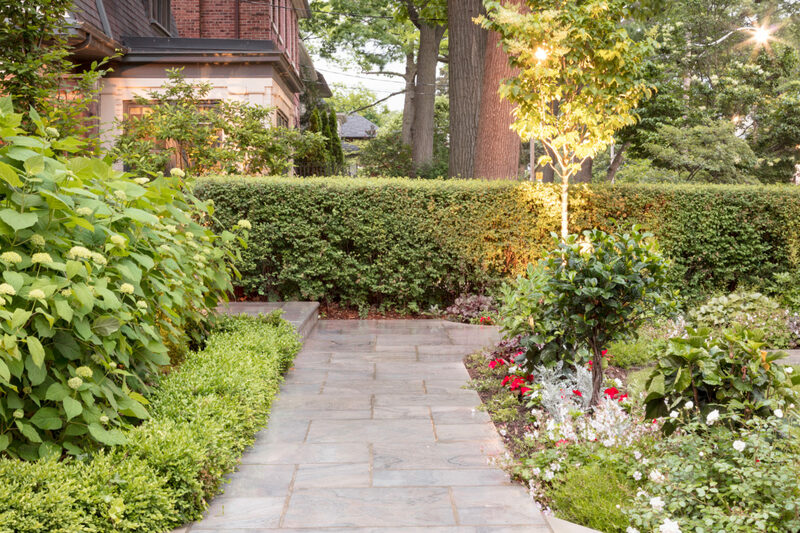 The grand stone entrance onto the property is welcoming and yet tidy. 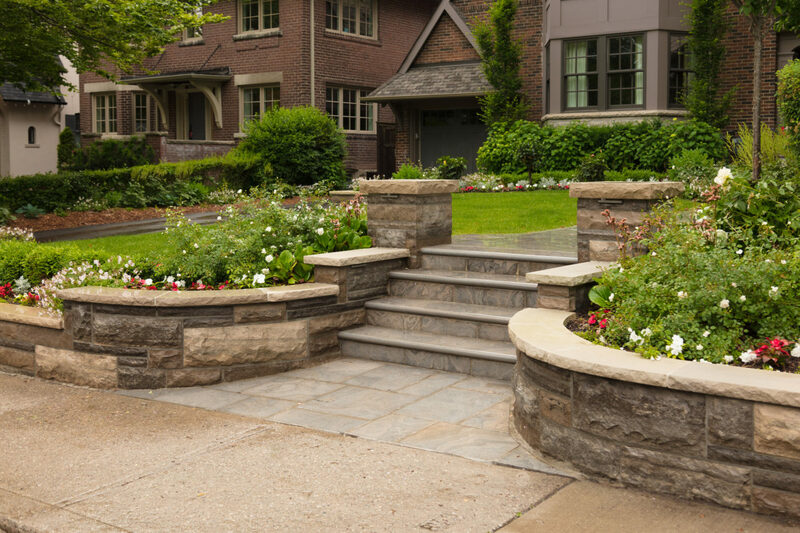 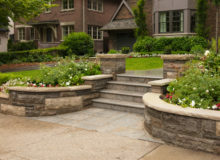 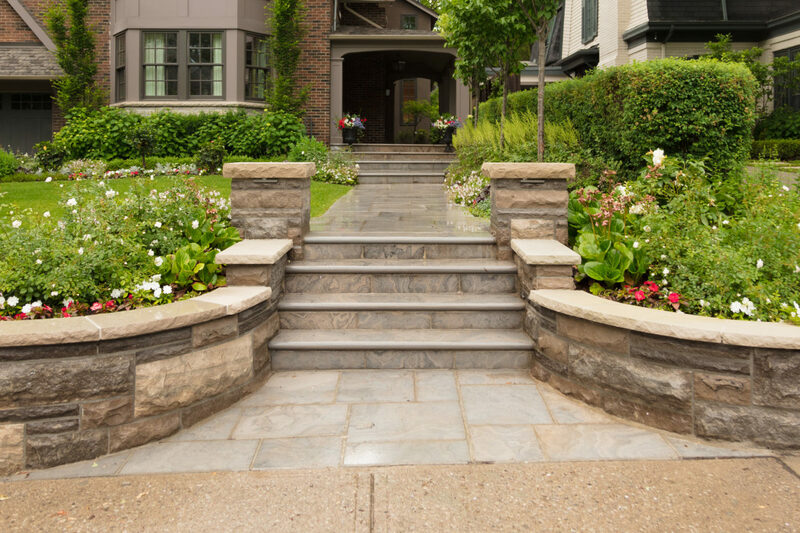 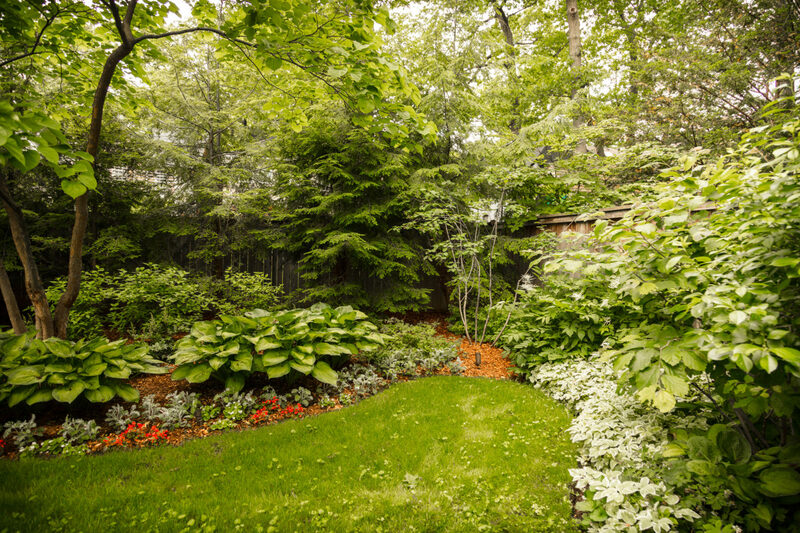 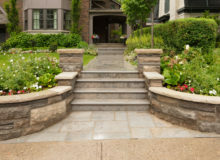 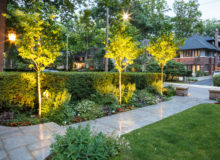 The extensive stonework, added trees and mass garden plantings give the gardens a well defined space. 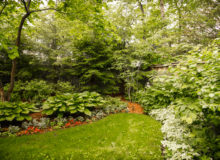 They look as if they have been there for generations yet seem fresh and well maintained. 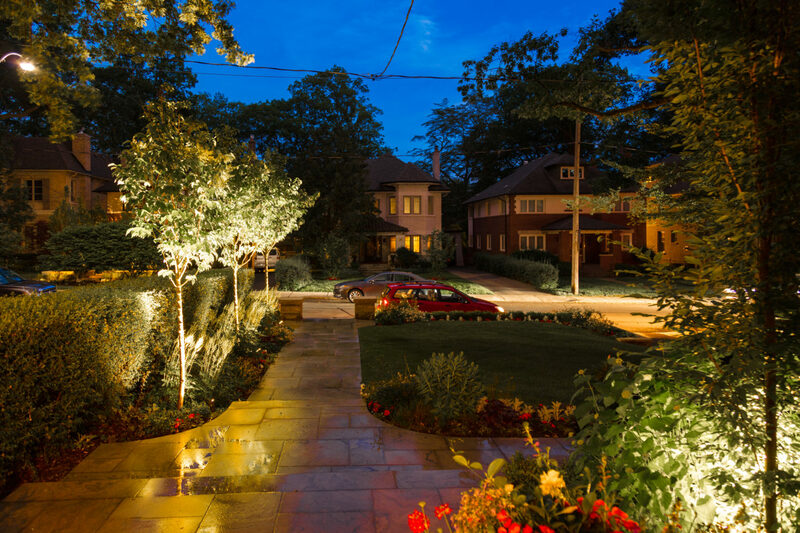 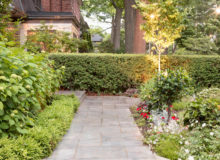 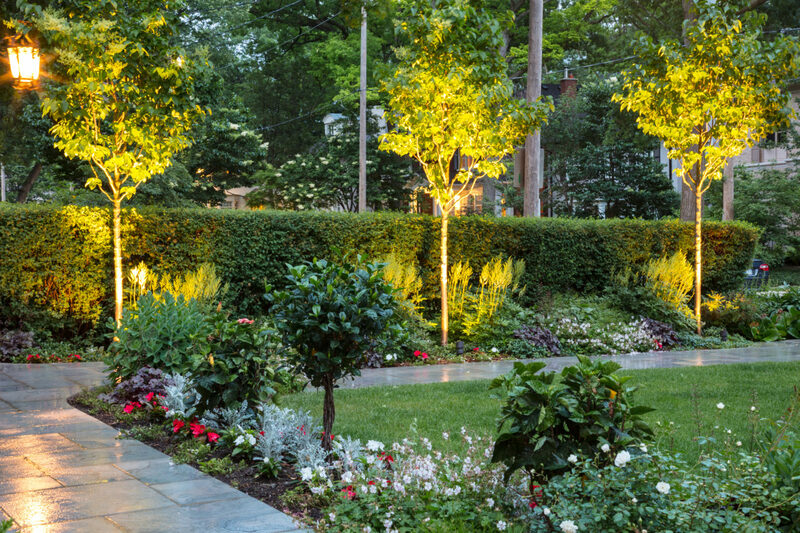 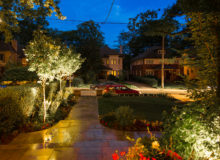 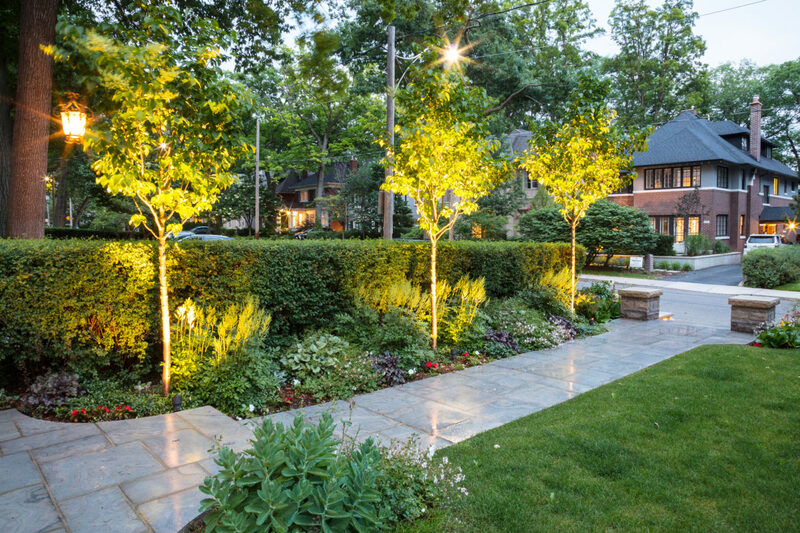 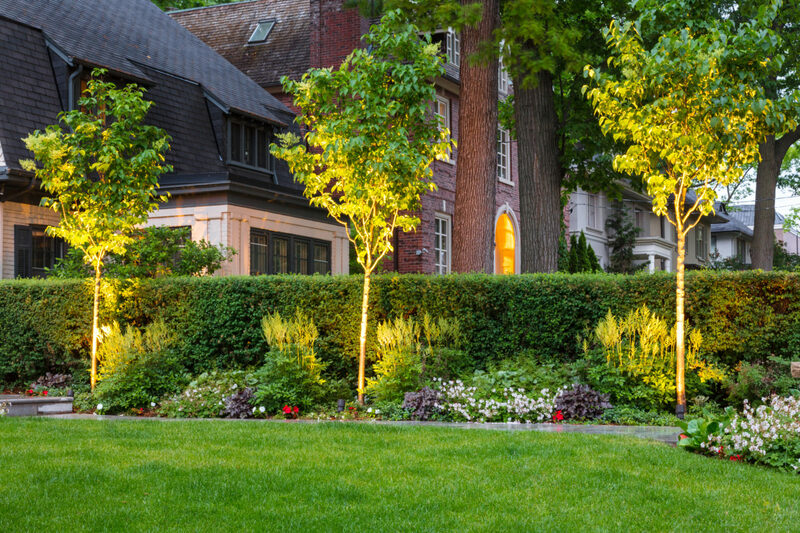 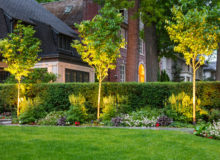 Lighting is used to highlight features while also creating a safe pathway to and from this beautiful home.